In the inspired concept of A Quiet Place, most of the Earth’s population has been wiped out by crab-like aliens with massive teeth, an impenetrable exoskeleton, and long, deadly arms, which have razor-sharp pincers at the ends. Being blind, the monsters hunt their prey using sound. The slightest noise causes the creatures to attack at terrifying speeds, leaving the source a bloody pile. 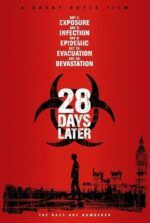 Survivors have endured by embracing a silent lifestyle marked by the nerve-rattling, paranoid fear of sound. This scenario, worthy of The Outer Limits television series from the 1960s, remains innately cinematic, relying less on dialogue than evocative performances and visual clarity. 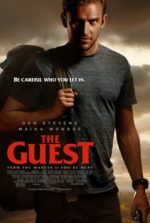 Director, co-writer, and star John Krasinski delivers a thrilling creature-feature, but the film’s higher potential is limited by its adherence to the standard trappings of a B-movie. The family at the film’s center hides away on an isolated farm in the country. In an elaborate routine that can never be broken (but inevitably is), they communicate to one another with sign language, walk on soft sand pathways, paint safe footsteps on the floorboards to avoid squeaks, and abstain from sound for fear of death. 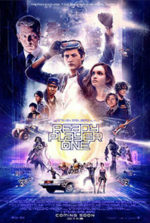 Their paterfamilias, Lee (Krasinski), jealously protects his wife Evelyn (Emily Blunt) and their two children, Regan (Millicent Simmonds) and Marcus (Noah Jupe), especially after losing their youngest to the alien threat. Ever since then, the family has been fragmented. But Evelyn will soon give birth to their latest addition, and the family prepares for the baby’s arrival with a sense of doom. After all, births and babies aren’t known for their silence. Unavoidably, the family must contend with three aliens scouring their area in a tense, soundless fight for survival. Krasinski achieves a lean nail-biter that remains engrossing and efficient. The performances contain boundless emotion and character, regardless of few spoken words, except for a brief scene between Marcus and his father behind a waterfall, where the aliens cannot hear. For the first half, the film embraces the absence of its monsters onscreen, taking a cue from Ridley Scott’s Alien (1979), which demonstrated how brief glimpses are much more frightening than seeing the monster in full. Unfortunately, the second half gives the average-looking CGI creatures too much screentime rather than allow the moviegoer’s imagination to fuel the scares. Likewise, the jump-scares punctuated by composer Marco Beltrami’s score force one to wonder how much more effective A Quiet Place would be with no score at all. Krasinski makes several admirable choices, such as relying almost exclusively on pantomime (Krasinski and Blunt share several heartening looks between them), and provides a sweaty, writhing dread throughout. 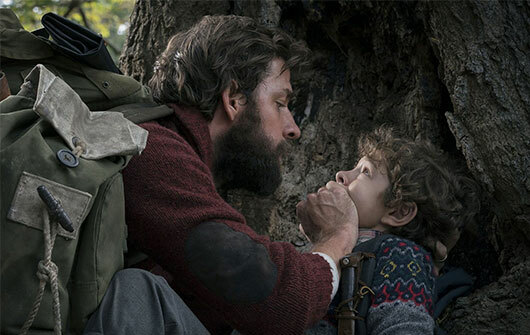 Still, there’s a more satisfying arthouse version of A Quiet Place that resists the need to show so much of the scary monsters or deliver its overly satisfying payoff in the finale. Consider how Krasinski’s heavy-handedness as a director allows Charlotte Bruus Christensen’s lensing and Christopher Tellefsen’s editing to reveal expositional information in clumsy ways. The frame returns again and again to Lee’s messy office, where notes on his markerboard read “What is their weakness?” next to a collage of newspaper clippings that declare “It’s sound!”—making the imminent ah-ha into a duh moment. To be sure, the film has a confounding blend of inspired and obvious ideas. A Quiet Place also has the sort of clever setup that raises more questions than it answers. For instance, how did blind aliens ever construct a spacecraft to visit Earth in the first place? Why can aliens hear the most negligible rumbling behind the walls of a farmhouse but not yahoo-ing behind a waterfall? The human body makes all manner of involuntary sounds; how does the family deal with that? All of these questions are nitpicks, of course, yet they linger in the minutes and hours after watching the film. At the very least, they remind us, along with the corny last shot, of the film’s devotion to monster movie tropes. All of them have been expertly applied, of course, but audiences will find a more artistically inclined family-waiting-out-the-apocalypse scenario in last year’s It Comes at Night. Nevertheless, Krasinski sustains our terror and absolute involvement for the duration of the film’s 90-minute runtime. If there’s another, albeit unintentional element that will sour the moviegoer’s experience with A Quiet Place, it’s the film’s use of silence. The silence itself is not the problem. Quite the opposite, as Krasinski uses the lack of sound to amplify fear in sometimes ingenious ways. However, the average moviegoer—whose loud popcorn-munching, cell-phone using, and chit-chatting are annoying enough in a screening with an average amount of sound—will disturb your silent viewing experience even more. During my screening, there were times when Krasinski captured the entire auditorium, and I couldn’t help but stop to appreciate the breathlessness of an enrapt audience. But rude moviegoers will surely spoil the effect Krasinski seeks to achieve. Which is to say that, should you see A Quiet Place (and you should), see it at a theater that enforces a no-talking and no-cell-phone policy, or create the dark and silent conditions in your home theater that are optimal for seeing this film.